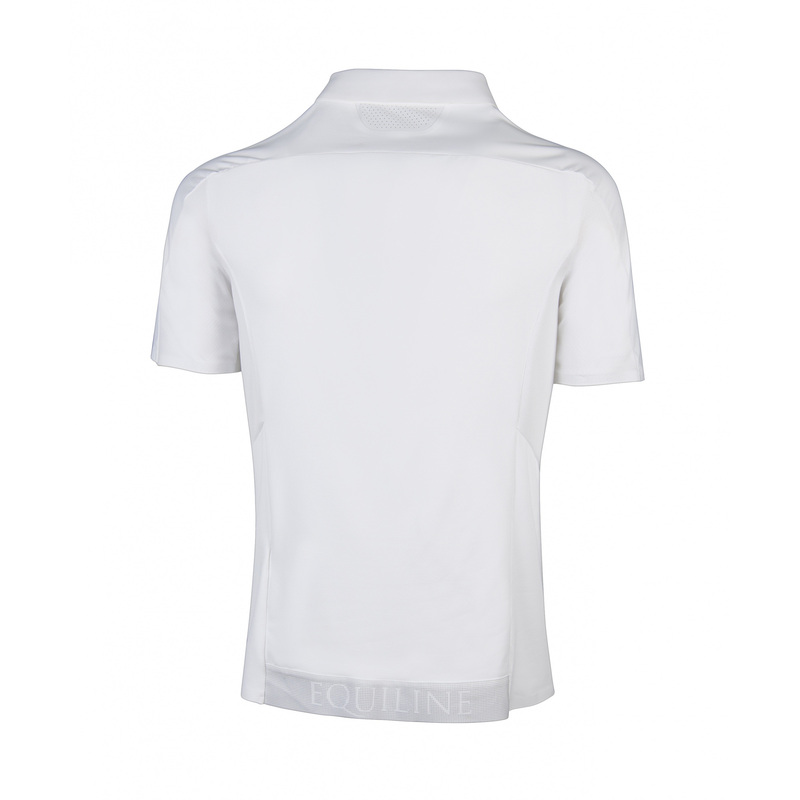 Practical men's Lance polo shirt from Equiline is fastened on the front with a delicate zip. 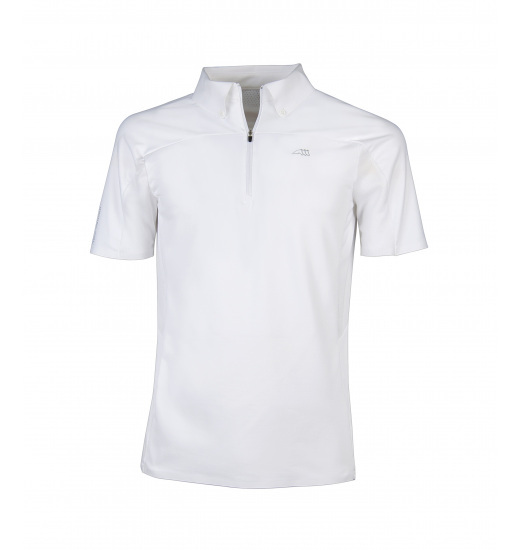 It's classically white. 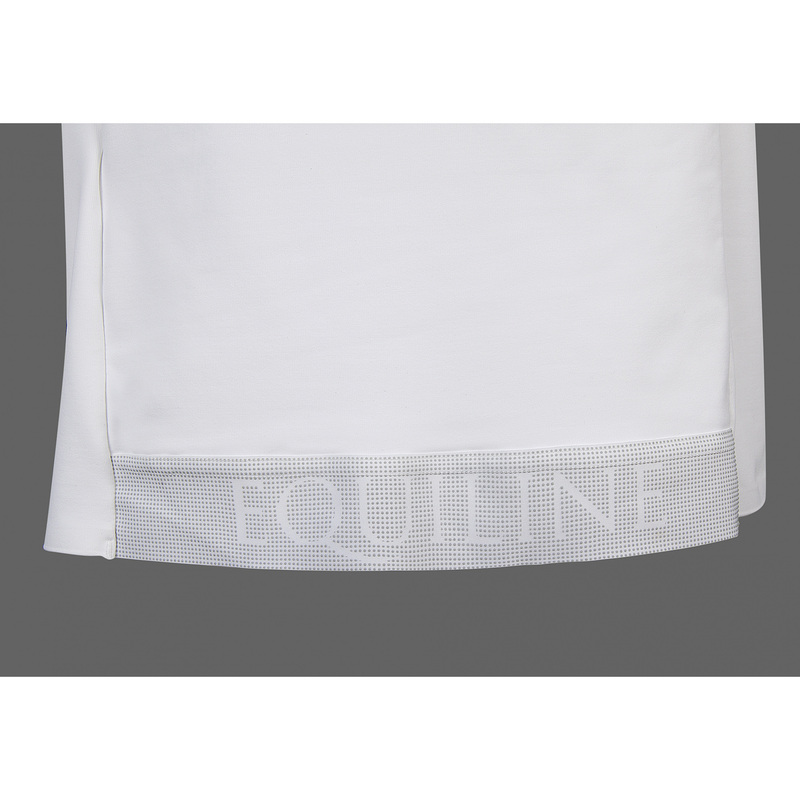 There is a not so blatantly obvious Equiline writing on the back formed of little dots, and a slight logo on the chest. 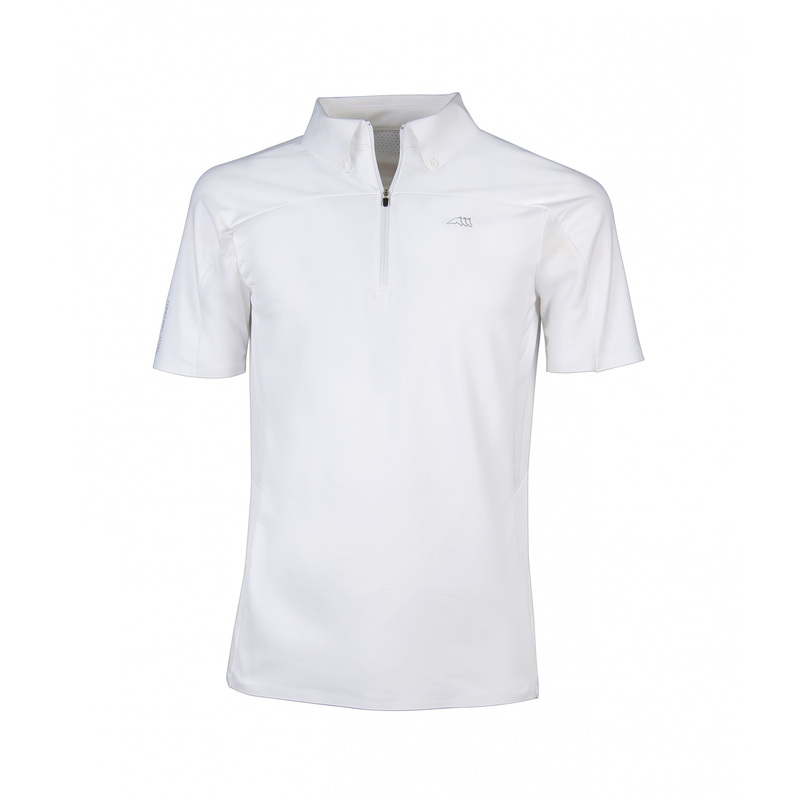 It is minimalistic and practical, made of perfect quality material.